If you’ve heard the term at all, the word “bespoke” might conjure images of hand-tailored suits on debonair British spies or haute-couture supermodels on Paris runways. In the fashion world, bespoke is the difference between a garment that fits you like a glove and one that is bought straight off the rack. But we’re hearing bespoke more and more in the common lexicon today, particularly as companies seek to individualize their products, services or delivery methods to their customer’s unique desires. Take the success of Stitch Fix as an example. After an initial online questionnaire, a style consultant chooses clothing and accessories to send to their customers each month. The customer can keep none, some or all, and leave feedback online that allows their stylist to learn their preferences. Over time, some people say Stitch Fix knows their style better than they do. The clothes are pret-a-porter, the experience is not. At INTEC Group, we believe everyone should be able to experience their own version of bespoke design that is suited to them at the appropriate scale, regardless of the size of the budget. It’s why we do what we do – for the satisfaction of producing creative solutions that push boundaries and further our passion to enhance the human condition. To get there, we always start with the people behind the place. The project’s uniqueness has to come from the story of the company’s culture or the place’s personality. It has to come from something authentic, and uncovering that is how we get to a design solution that is tailored and true to each client. No matter who we’re working with, our process starts at the visioning and concept stage. This is where we get to know our clients beyond the introductions and website bios. It’s where we find out who they are, what drives them to do the work they do and what they stand for as a brand. From there, we can bring those intangibles out into real-world design aesthetics that differentiate and define them. The following examples illustrate how our uniquely tailored approach to clients across market sectors results in bespoke designs that set them apart. We hope you find them as intriguing as we do, in which case we invite you to contact us to learn what INTEC could offer your own brand. 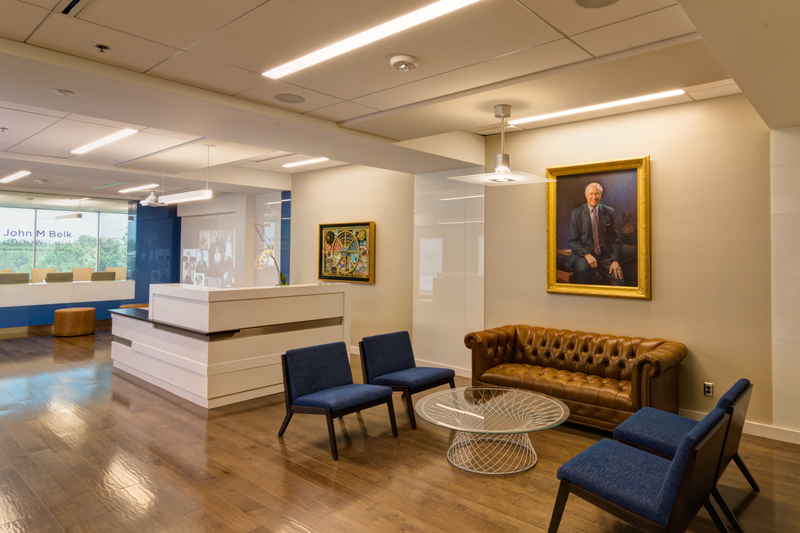 When we designed offices for the John M. Belk Endowment, it was important that we honor the memory of the founder. We worked directly with his daughter, and this was personal to her. Linking the past to the present, the Belk family to the city of Charlotte, and underrepresented youth to educational resources, led us to the design concept of ‘connection’. We showcased this concept through architectural language that compositionally connects one side to the other. The exhibit display design of mixed memorabilia ‘connects’ and transitions the visitor from the history of the company to digital, flexible, projected imagery representing its commitment to the future. The unique, contrasting, aesthetic of mixing Belk family heirloom furniture with modern design reinforces this connection of the past to future. We kept the foundation of the company while opening up new possibilities. Novel Providence Farm offered us the opportunity to use our designs that created a story specific to a location, the people who would become its most frequent visitors. It was a specialized project in that we didn’t want to exclude any specific audiences, but the space also couldn’t be all things to all people. The challenge wasn’t in casting the wide net, but the right one. We explored local culture, and discovered what needs weren’t being met. 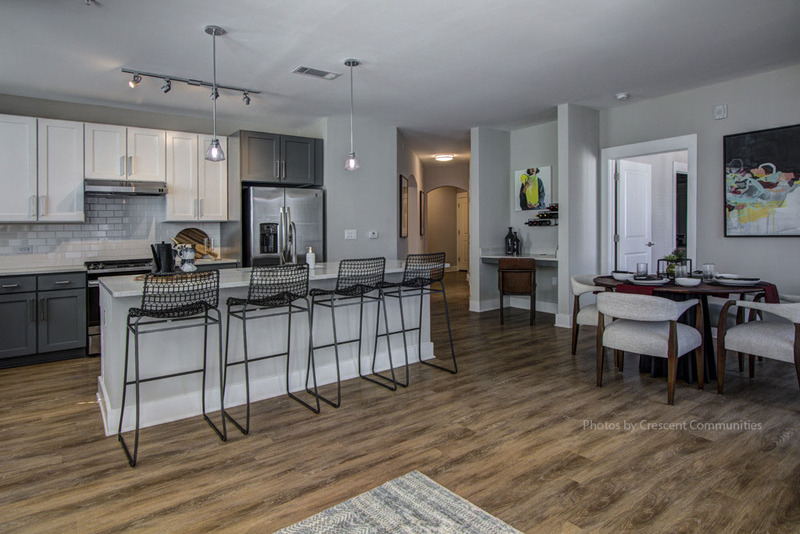 In this area of Charlotte, the lifestyle concept of the thriving foodie was undeniable, and it became the focal point of our efforts moving forward. Our leasing center is a standalone building that looks like a restaurant from the outside, and feels like one in the lobby. The leasing agents work at dining tables and the bakery bar. Vendors connect with local residents and visiting foodies by handing out homemade pastries, a gesture that’s both inviting and enticing to learn more. 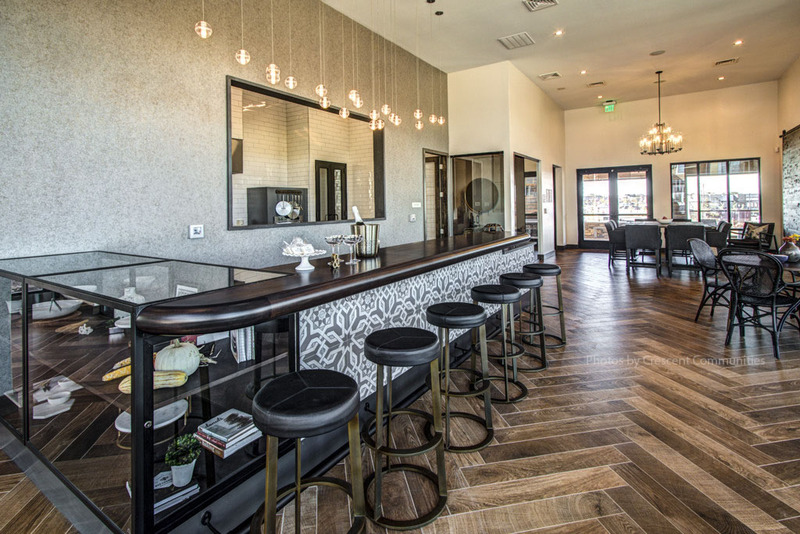 One of the main amenities is a commercial kitchen, with GE Monogram appliances, subway tile on the walls and a wine-tasting room for a relaxed speakeasy feel. For the Instagramming Millennial foodie, this is heaven at home. The above examples are only two of the countless bespoke designs we’ve created for our clients over the years. What truly excites us is that no two clients are ever the same. No matter what sector your business may be in, there’s a unique story behind it that we’d love to help you tell.